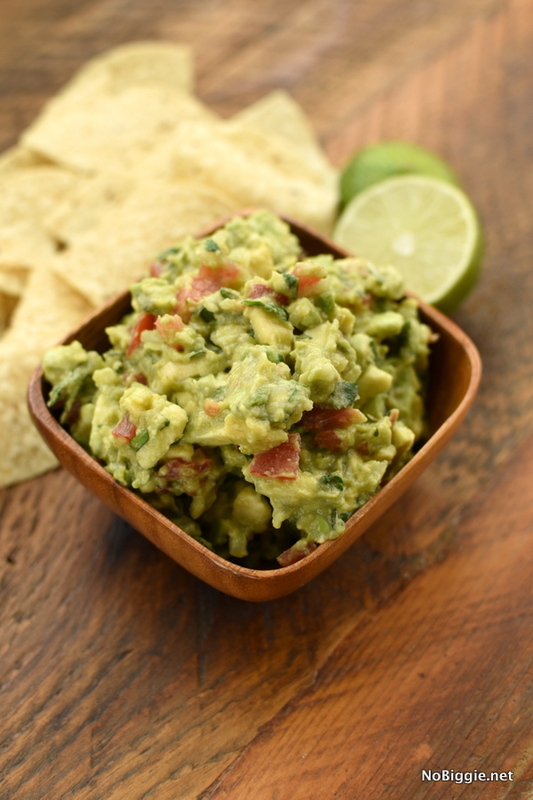 This recipe is a keeper when it comes to fabulous fresh guacamole. It’s always a good idea to have a few basic recipes in your back pocket to pull out at a moments notice…company coming over?! No Problem-o! Make some guac! The best thing about making guacamole is that you can pretty much count on finding all the ingredients in-season year round, so whether it be a summer get together, a super bowl party or just an impromptu visit from friends…you can always make fresh guac. –lime juice: the acid in lime juice is great to help keep avocados and guacamole from turning brown. Add the fresh lime juice right after you scoop out the avocado. –plastic wrap: Press plastic wrap onto the top of your guacamole to keep it from browning while it chills in the fridge. –water: Yep! Water helps keep avocados fresh and keeps them from browning. After you make your guac, press it down to let the air bubbles out then add a tablespoon or two of filtered water on top. 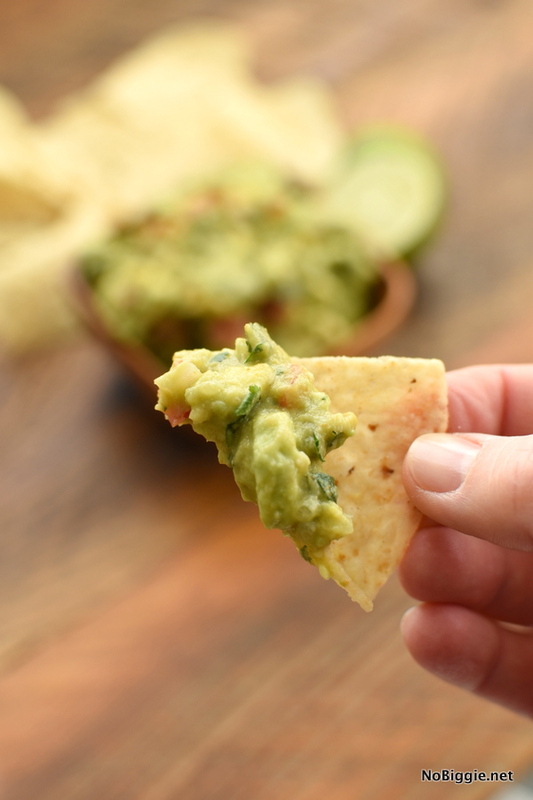 When ready to serve, just dump the water out and use a fork to fluff it up and give your guacamole a refresh. 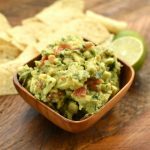 Can guacamole be kept overnight? Yes! 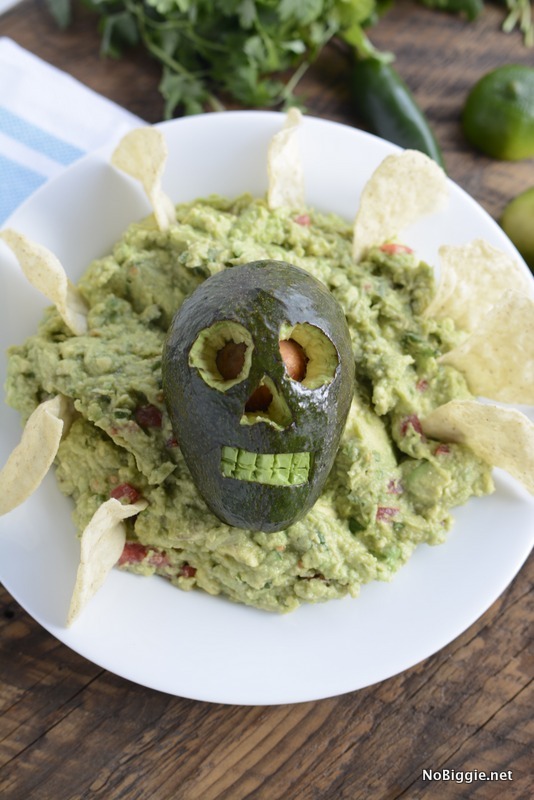 If you use lime juice and press plastic wrap over the top or use the water method, guacamole will keep overnight. Never throw out another bad avocado. I have thrown out too many bad avocados over the years. One day your avocado is underripe and next thing you know it’s already overripe and starting to go bad. Here is what to do: Leave your avocado out on your countertop and check it every day for ripeness. When it starts to have a little give when you squeeze it and it feels ripe and ready to use, BUT you are not quite ready to use it, place it in your fridge and it will keep at the perfect ripeness for one more week! This is a great way to buy a little more time or at least a few more days for your ripe avocado. It has really helped keep food waste down when it comes to avocados. 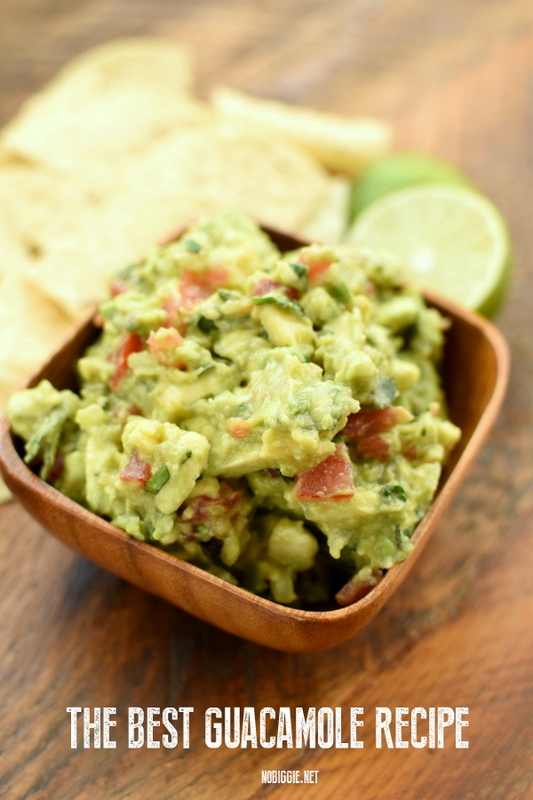 The recipe for the best fresh guacamole to enjoy year round! 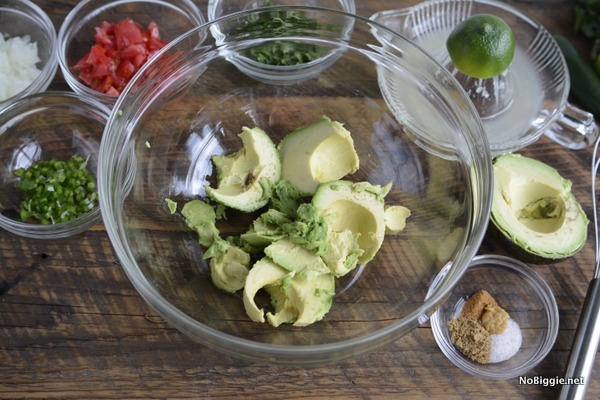 In a big bowl mash the avocado until you get the consistency you desire. Next add the lime juice, stir around to help prevent the avocado from browning. Using a metal whisk, potato masher or mash in the minced garlic, salt, cumin, and cayenne. Now stir in the onions, jalapeño, tomatoes and cilantro. Move to a serving bowl. Serve with chips and fresh diced cilantro and a squeeze of more lime. Let sit at room temperature for an hour or so to let the flavors combine before serving. Depending on the size of avocados you use, you might want to add more salt...season to taste.